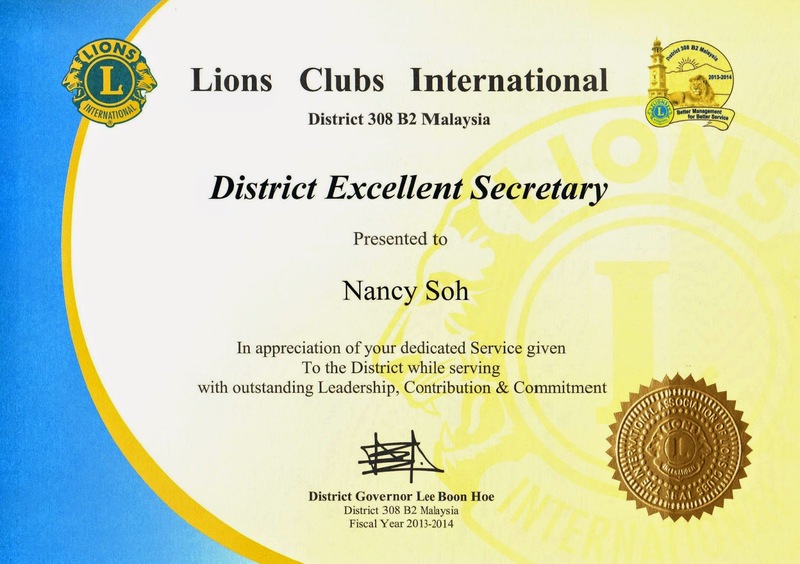 District Excellent Secretary Nancy Soh. 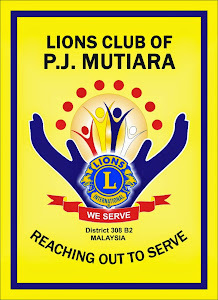 53RD MD308 Lions Convention will be in Penang from 17-19 April 2015 at Hotel Equatorial at RM360/pax. Registered delegates are President Jessie, Yvonne, Irene and Lynda. DG-elect Ooi Chao Syhuan LC Prai had 120 votes, 1st VDG-elect SN Tai LC Subang Jaya had 127 votes while 2nd VDG-elect Jennifer Kim LC Georgetown Central had 91 votes out of 133 registered voters. 12 April 2014 2nd VDG Candidate Jennifer Kim Fellowship Dinner held at Overseas Restaurant, Subang Parade, Petaling Jaya attended by President Jessie, Yvonne & Irene. Overwhelming response of 60 pax turned up.